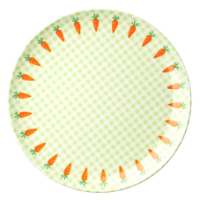 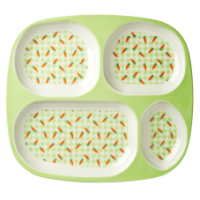 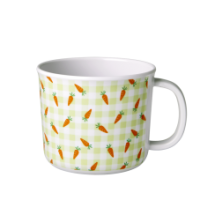 Kids small green check melamine cup with carrots round the rim from Rice DK. 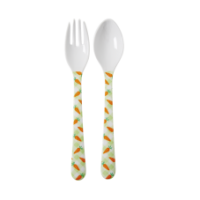 Co-ordinates with a bowl, plate, 4 room plate, cutlery and a cup with a handle. 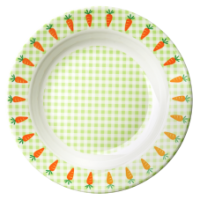 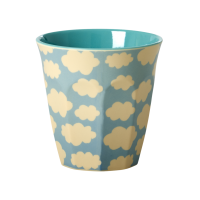 Or mix and match with the plain coloured melamine by Rice. 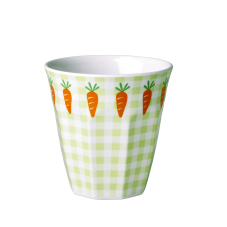 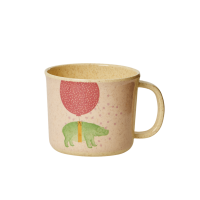 The cup has ridged sides so it does not slide through little hands quite so easily.